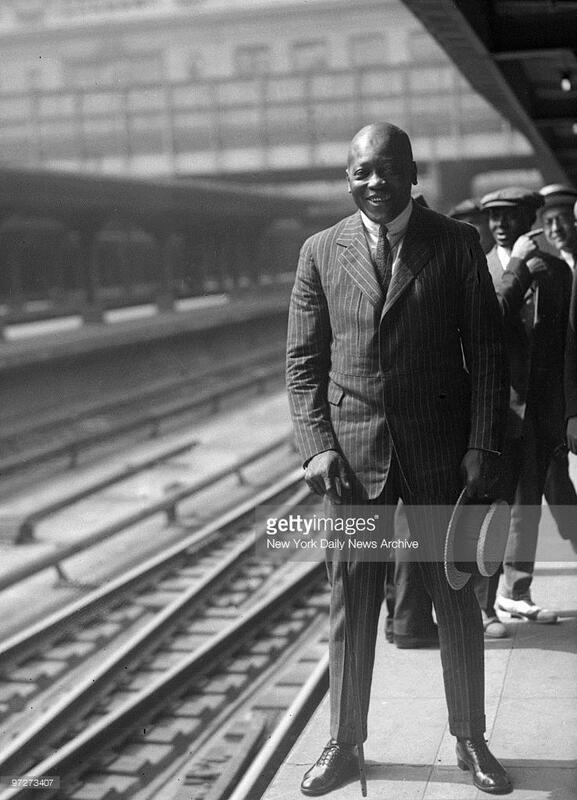 Did you know an African American named Jack Johnson won what would be equivalent to 1.7 million dollars today back in 1910? I know your probably thinking “Wow…how did he get that much money!..And what did he do with it all? 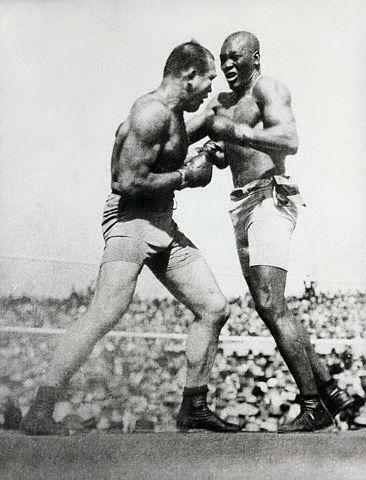 !” Well…On July 4, 1910, a group of 20,000 people gathered to see Jack Johnson aka The Galveston (TX) Giant fight Jim Jeffries aka The Great White Hope in a fight that would go down in history and be known as “The Fight of the Century”. 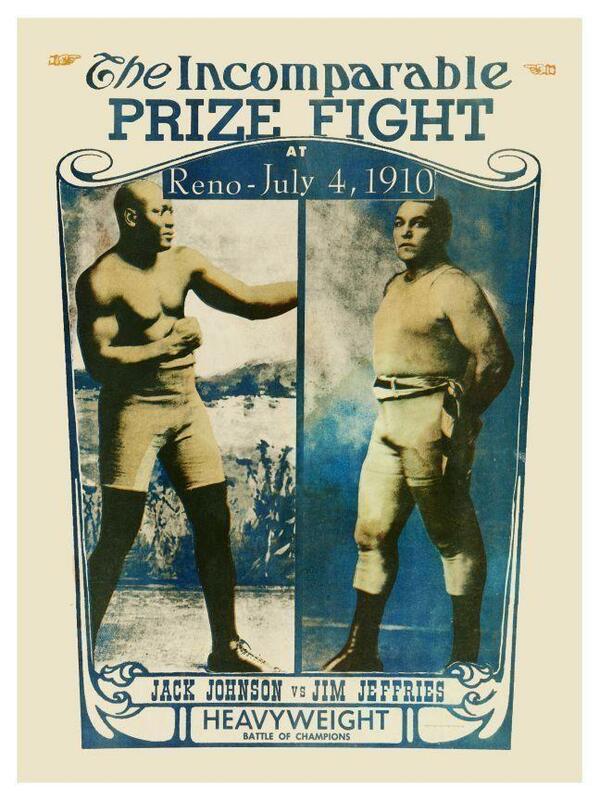 This heavy weight match up was also known as “The Fight of the Giants”, becoming symbolic for Blacks vs. Whites for many fans. Leading up to the fight, racial tension increased to the point that it was prohibited to bring guns within the arena as was the sale of alcohol or anyone under the effects of alcohol. The media at that time was a big influence on those who gambled and predicted the odds of the fight 10–7 in favor of Jeffries. Just as many are influenced by today’s media, many cast their bets for Jeffries. It was said that some invested half if not all their savings on the belief that Johnson would lose. 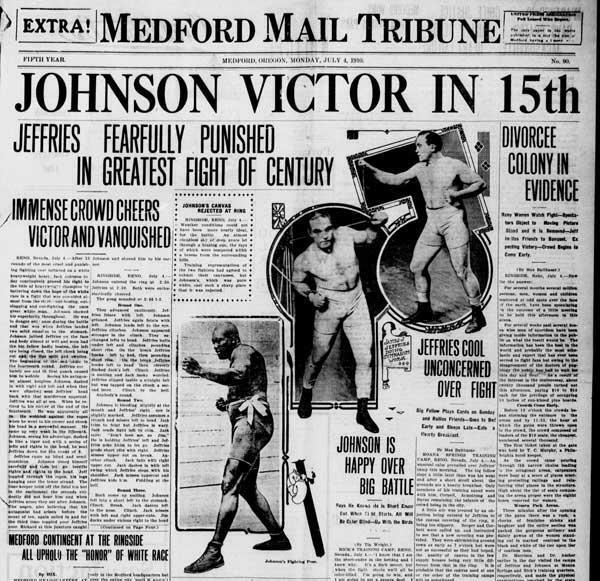 By the 15th round, after Jeffries had been knocked down twice for the first time in his career, Jeffries’ corner ‘threw in the towel’ and Johnson became the winner. Afterwards, Jeffries was humbled by the loss and what he’d seen of Johnson in their match. “I could never have whipped Johnson at my best”, Jeffries said. “I couldn’t have hit him. No, I couldn’t have reached him in 1,000 years”. 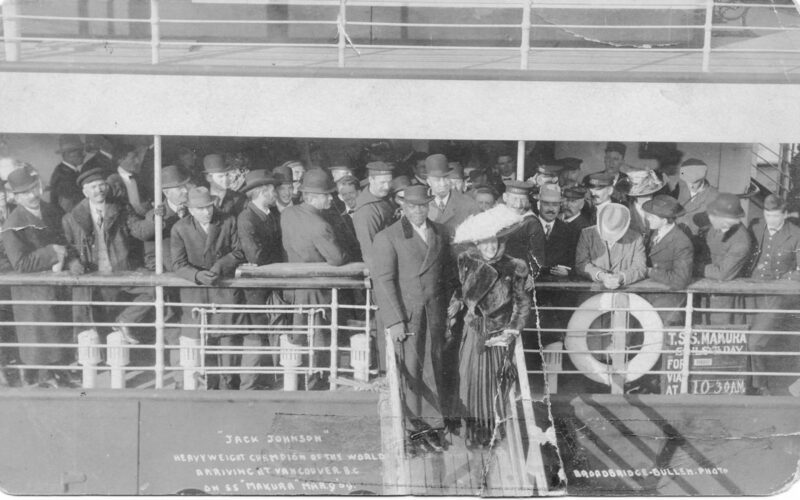 Many claimed that Jeffries was a ‘betrayer of the white race’ for losing the fight. There were many white Americans who became angry over the outcome and erupted into race riots. Various places like New York, Pittsburgh, Philadelphia, New Orleans, Atlanta, St. Louis, Little Rock and Houston were all targeted areas. Local newspapers seemed to support the mob by releasing ads showing positivity towards the mob and their actions. 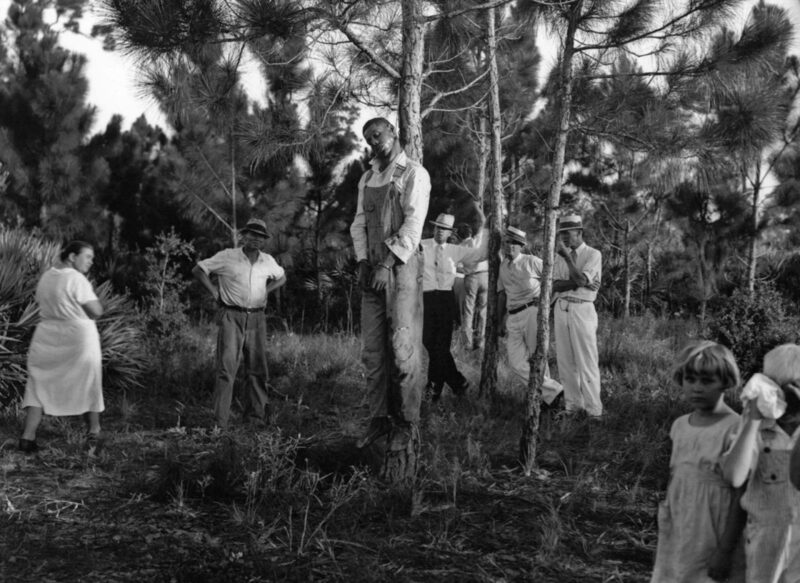 In several cases, white mobs attacked or lynched black citizens in revenge. 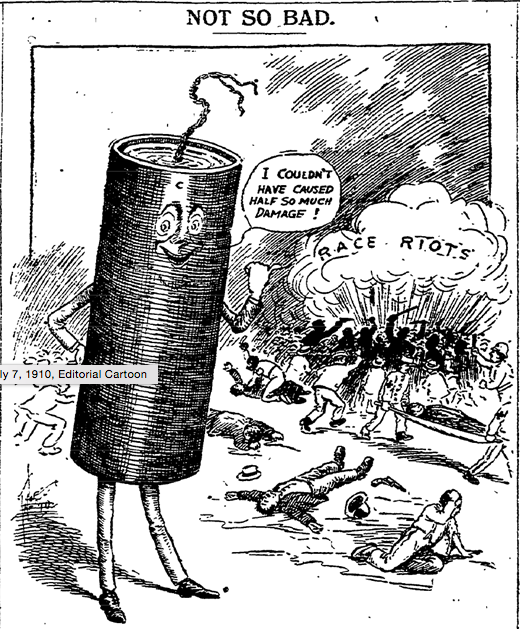 In all, riots occurred in more than 25 states and 50 cities. It was reported that more than twenty people were killed across the US from the riots and hundreds of others were injured; however, many believe that hundreds were killed across the country and not reported by the white owned media outlets for protection of the mob. After the fight, Johnson was in a way treated like a modern day celebrity. 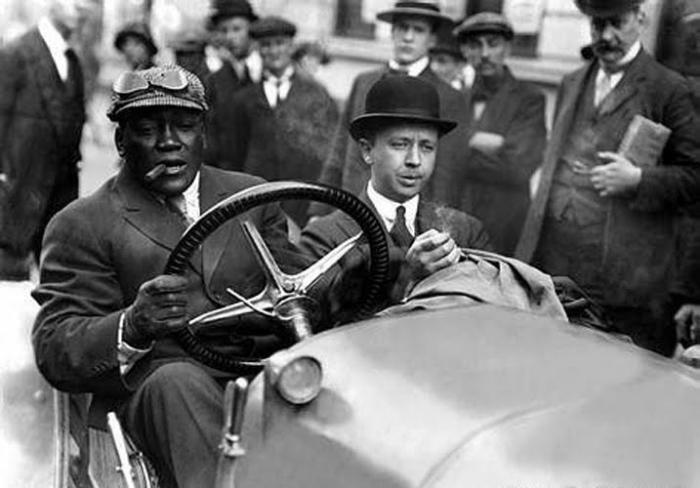 In spite of racial tension, Johnson was offered money to advertise for the motor vehicle industry, clothing lines, and other businesses who knew they could draw major profits from his fame. It’s said that Johnson was once pulled over for speeding and was issued a $50 speeding ticket (a large sum at the time). Johnson gave the officer a $100 bill and when the officer told him that he couldn’t make change for that much, Johnson told him to keep the change, he was going to make his return trip at the same speed. 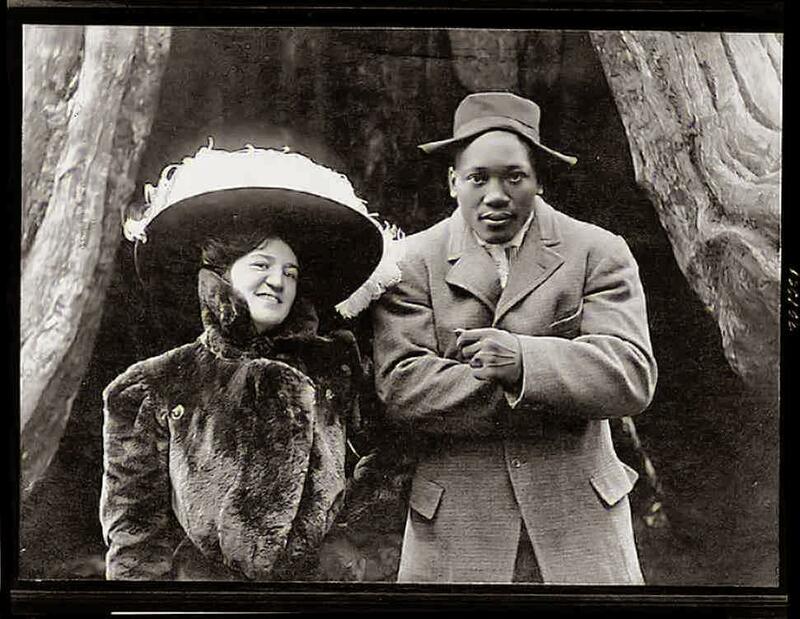 Johnson was married three times and all of his wives were white, a fact that caused considerable controversy at the time. 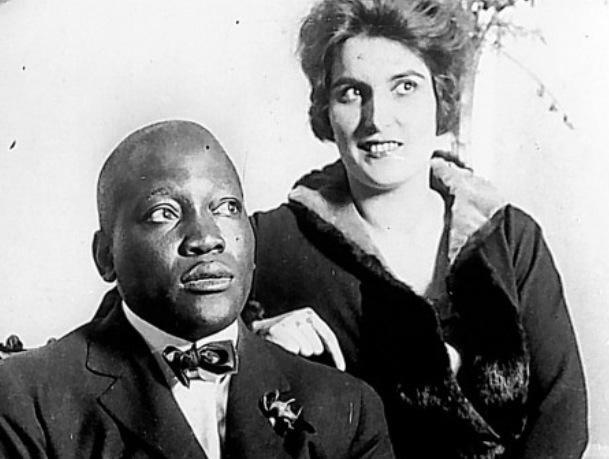 Johnson was also known for running a prostitution ring using mainly white females including his first wife. 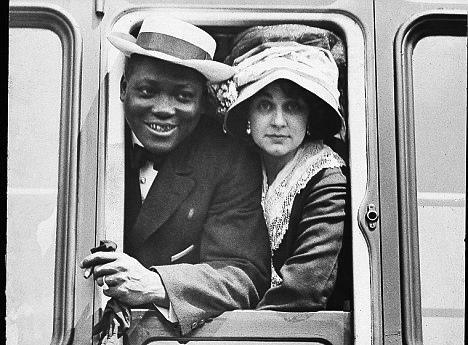 At the height of his career, the outspoken Johnson was excoriated by the press for his flashy lifestyle and for having married white women and his known exploitation of woman in general. Johnson was later charged with what is now known as the Mann Act or the White Slave-Traffic Act. It is said that the Congressman who created this legislation got the bill to pass by using Johnson’s exploitation of white women as the motivating factor to gain the popular vote. In November 1912, Johnson was arrested twice under the Mann Act. It is generally acknowledged that the arrest was racially motivated and everyone wanted to see Johnson go down in flames due to his success and choice of lifestyle. 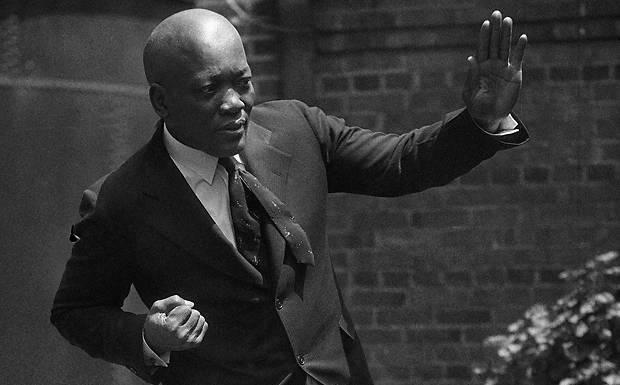 Johnson died in 1946 and today is still considered to have been a forerunner in paving the way for other African American champions like Muhammad Ali, Sugar Ray, and Mike Tyson. Please take a moment to watch the actual footage from the match known as the Fight of the Century! You will be amazed at how the commentator is speaking towards the end of the video. Interesting Stuff! Post your thoughts. Next Post What Would You Do for Food and Water? Very Interesting! Had never heard of this guy before reading this and I’m a big sports fan! Excellent! I knew he was killin the white girl game but I didn’t know he had a stable of them. Mr. Johnson is one of the most interesting people from that era for sure. LOL… @killin the WG game. I like to compare his life to OJ and some of the other celebrities you see being slammed for dating outside their race. Enter your email address to subscribe to this blog and receive notifications that will OPEN YOUR MIND!